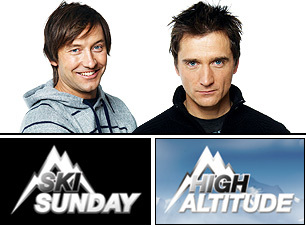 Ski Sunday and High Altitude have now finished, but they will return next year packed full of features and live skiing. Graham Bell and Ed Leigh will be your hosts as they get to grips with some of the world's harshest terrains and bring you the very best of the skiing season. To watch videos from the best of the 2009 series click below to visit the website. If you have any questions about the BBC's winter sports coverage please first consult our main FAQs page .